The paper presents the results on the diversity, morphology and karyotypes of species from the genus Neogobius collected during the summer seasons 2012-2016 in the shallow coastal zone of the Caspian Sea (Aktau city). A total of 6 species of goby fish belonging to two genera were found: Neogobius Iljin, 1927 and Ponticola Ilijn, 1927. Most species are widespread in the Northeast and Middle Caspian. The results of the morphological analysis did not reveal any significant differences between the populations of goby fish of the Northern and Middle Caspian, and also in comparison with the literature data. Chromosome kits and karyotypes detected in the observed gobies N. fluviatilis pallasi, N. melanostomus affinis, N. caspius, P. gorlap and P. syrman eurystomus are represented in the diploid set mainly by 46 acrocentric chromosomes, and in one species previously identified by us as N.sp (P.iljini) 2n = 40 chromosomes with a number of chromosome arms (NF) 46. BIGALIEV, A. B. et al. Diversity, morphology and karyotypes of species from genus Neogobius (Perciformes; Gobiidae) at coastal zone of the Caspian Sea (Aktau city). International Journal of Biology and Chemistry, [S.l. ], v. 10, n. 1, p. 4-8, june 2017. ISSN 2409-370X. Available at: <http://ijbch.kaznu.kz/index.php/kaznu/article/view/263>. Date accessed: 20 apr. 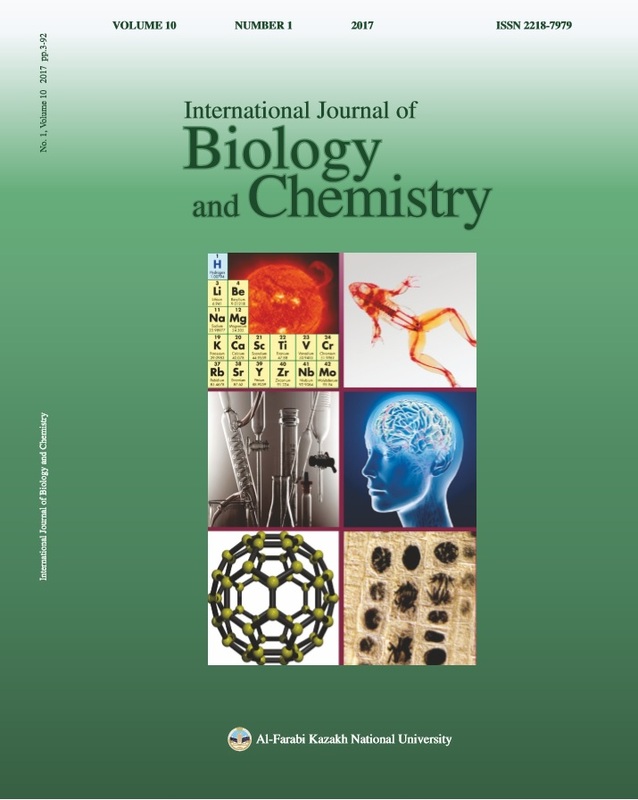 2019. doi: https://doi.org/10.26577/2218-7979-2017-10-1-4-8.